Whether you are visiting Mongolia for a short trip or just few nights in UB, there are ways to explore Mongolia. From a range of well-exhibited museums to magnificent monasteries and temples and national parks, we offer custom made travel programs to extend your understanding of Mongolia. We offer two day tours and two overnight tours, all intended for expanding your experience and understanding of Mongolia. Begin the day with a visit to Zaisan Hill, the place to get a bird’s eye view of the city surrounded by four mountains ranges. Next, we will drive to the Mongolian Military museum and learn about Mongolia’s extensive military history. Then, we will enjoy a national archery demonstration by an experienced archer and will also try our own hands at this ancient sport. After lunch at a fine restaurant in the city, we will visit one of the city’s fine souvenir shops. Next, we will drive to the Gobi Cashmere Factory and learn about the cashmere production. Later, will visit its outlet store with its excellent collections of excellent designs. In the late afternoon, we will transfer back to your hotel. Price includes: Private transportation by a van or SUV; English speaking guide service; Lunch at a restaurant; Entrance fees; Archery activities; Bottled water. Bogd Khan Mountain, overlooking the city is one of the most scared mountains in the country. It is also thought to be the oldest protected natural zone in the world. Even during the 13th century, logging and hunting were prohibited in this mountain range. Ecologically, this mountains is found in the southern-most edge of the Siberian forest and forest-step landscapes just north of the Gobi Desert. Rich with abundant wildlife, this natural area is the perfect place for a day-hike. Our trek will include the tallest of the mountains, the “Tsetsee Gun” Peak (2,268 m). After breakfast, we will drive to Mandshir Monastery, originally establish in 1733. Although not much remains from this monastery, the hike in the area offers an excellent introduction to Mongolia’s Buddhist heritage. Next, we will begin trekking to Tsetsee Gun Peak (gradual hike for approx. 2 hours). After reaching the peak, we will enjoy a pack lunch near the peak. We then will make a casual descent and drive back to Ulaanbaatar. Price includes: Private transportation by a van or SUV; English speaking guide service; Packed lunch; Entrance fees; Bottled water. 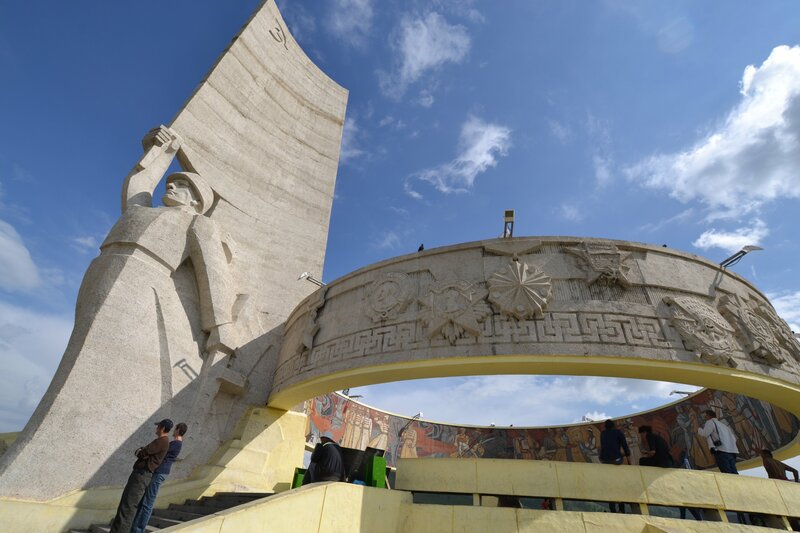 Most city tours are focused on visiting some of Ulaanbaatar’s best known land-marks and attractions. But Ulaanbaatar has hidden boroughs and neighborhoods that are not so much known to visitors. Ordinary people such as lawyers, doctors, nurses and teachers live there as well as some of the underprivileged. If you would like to know more about these communities and learn about them, then join us on this exclusive tour that takes place in Songin Khairkhan and Sukhbaatar districts of the city. The tour ends with a dinner hosted by a family who live in the ger district.